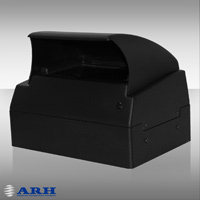 The PRM Multireader is the all-in-one solution for ePassport reading and checking. The goal of the development was to fulfil all the requirements that ever arise in the document reading technology from complex immigration tasks to simply data acquiring. Passport Reader Multireader - PRM is a full-page desktop document reader with integrated RFID reader, making him an ideal choice for the new generation ePassport handling. 1D Barcode reading UPC-A, EAN8, EAN13, Code39, Code128.